Fernando Torres says Atletico Madrid's victory in the Europa League final on Wednesday represented the realisation of a childhood dream. Atleti triumphed 3-0 over Marseille in Lyon to win a sixth trophy under Diego Simeone. 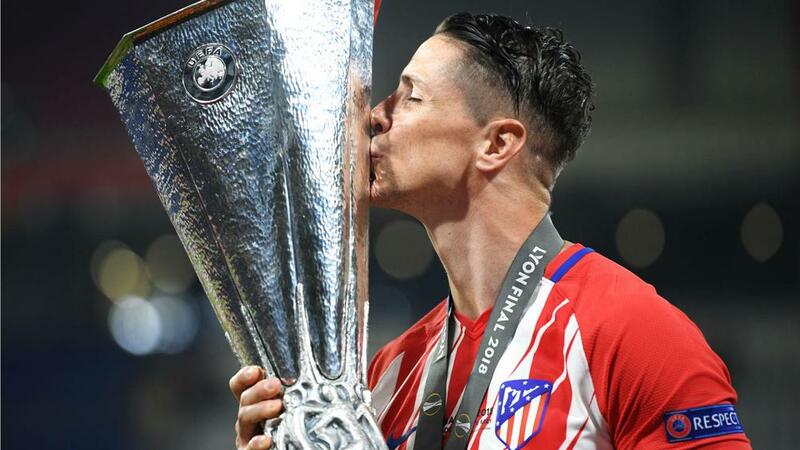 However, it was a first piece of major silverware with the club for Torres, despite having spent 11 seasons as a Rojiblancos player across two spells. In what could well be his final appearance for Atleti as he prepares to leave at the end of the season, former Liverpool and Chelsea striker Torres was introduced in place of two-goal hero Antoine Griezmann in the 90th minute. "Winning with Atletico was a dream I had as a child and it has become a reality," he said. "Being part of this group is amazing, this is just the beginning of something very big. "For me it is a fantastic ending. I'm going to be grateful to this team always." Atleti captain Gabi, scorer of the third goal, added that Torres deserved the honour "more than most". "This cup has given us a lot," he commented. "Torres deserves it more than most - there's no better way to say goodbye to Atleti."